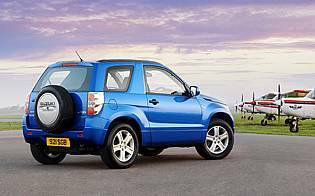 One of the most popular SUVs, the original Suzuki Vitara was one of the first models to take hold in the segment. 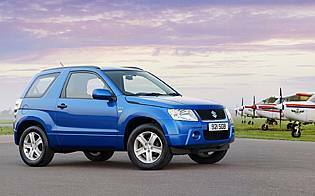 Now there are dozens of competitors, Suzuki's new Grand Vitara is available in both three and five-door form. With a fresh design and chassis, it's aim is to build on the success of previous generations. From the outside, the new Grand Vitara makes a strong first impression. While subscribing to the typical SUV bodyshape, it has an appealing modern look that sets it apart from its rivals. Distinctive details like the chrome effect rear lights and the clamshell bonnet are unusual and give it a great deal of appeal. The five-door version is arguably more attractive, with an extended roofline and a more upright rear. A key difference with this Grand Vitara is the adoption of a monocoque chassis design, whereas the previous version and several other SUVs use a simpler ladder-frame chassis. 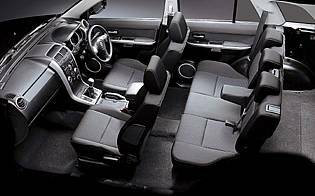 As well as improving body rigidity it has benefits for ride and handling and noise insulation, improving refinement and comfort for passengers. It also benefits crash protection, without seriously damaging its off-road ability. Three-door versions have a simple, selectable four-wheel drive system without a central differential lock, yet it still provides good off-road ability. The 1.6-litre VVT engine is matched to a five-speed gearbox, and although the slick gearshift makes light work of changing gear, the petrol unit has modest power and torque outputs, resulting in laboured progress at times. Although 2.0-litre petrol and 1.9-litre diesel engines are also available, these are only compatible with the five-door version, which may put some buyers off. The Grand Vitara uses multi-link suspension at the rear compared with a live axle on the old version, and this means much-improved ride quality as well as more consistent handling. 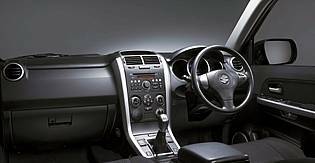 Another area where the Grand Vitara is impressive is the interior. Smart details like deeply dished instruments with classy illumination and chunky air conditioning controls add a classy feel to the cabin. Good quality fabrics and leather on the steering wheel also help, with only the occasional use of thin plastics counting against the newcomer. In a highly competitive market where value for money and image count for a great deal, the Grand Vitara has a lot to offer. Although prices have increased fractionally over the old model, it improves on its predecessor in all areas and has the style inside and out to attract a lot of new buyers.